The kiwi fruit is widely known and loved for its vitamin C goodness. It is green on the outside and light green on the inside, with small black seeds. When added to a fruit salad, these seeds give it a tropical flair. You can even eat the fruit as a whole without having to remove the rind. This outer part gives the fruit a taste of strawberries, bananas and melons all at once. The beauty of this fruit, unlike most fruits, is that it is all season. This means that it’s available throughout the year. These fleshy fruits come from California where they are in season from November to May. They are also available in New Zealand where they are in season from June to October. Undoubtedly, the kiwi is a great fruit. Let’s explore some of the kiwi benefits, and side effects you should be aware also. What Are the Benefits of Kiwi? Between lemons, oranges and kiwis, the kiwi contains the most vitamin C. Actually, 100g of kiwi will give you almost twice the amount of vitamin C you will find in oranges or lemons. Vitamin C is a powerful antioxidant. This makes it important to the body for successful elimination of free radicals that cause cancer and inflammation. Vitamin C is also important in boosting the immune system and protecting the body from harmful pathogens. If you are suffering from sleep disorders, you will be glad to know that a few kiwis a day can make it easier for you to get enough sleep. According to a study, kiwi fruits are of medicinal value since they contain serotonin and also antioxidants which treat sleep disorders. Taking 2 kiwi fruits one hour before bedtime can help induce sleep. One of the leading causes of vision loss is muscular degeneration. 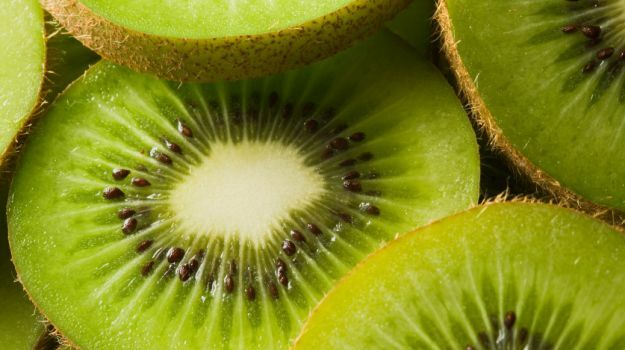 Kiwi fruits can help reduce the chances of losing your vision by up to 36%. This is due to the high levels of lutein and zeaxanthin, which fight the eye problems. digestion, but it is also important for preventing numerous diseases. According to medical studies, consumption of large amounts of foods rich in fiber can go a long way in lowering the risk of coronary heart disease as well as cardiovascular disease. Also, foods rich in fiber prevent one from becoming obese or developing other weight complications. This is because fiber rich foods keep one full for longer, which prevents you from overeating. Aside from boosting the immune system, kiwi fruits can also aid in management of blood pressure. It has been found that kiwi fruits contain bioactive substances which lower blood pressure significantly. Consumption of 3 kiwis per day can lower other risks associated with hypertension such as heart attacks and strokes. Consumption of 2 to 3 kiwis a day can significantly lower your chances of developing a blood clot. Also, kiwi fruits will reduce the amount of fat you have in your blood. Experts say that this daily dose of kiwi fruits is similar to a daily dose of aspirin administered to improve the health of your heart. Without a doubt, the kiwi fruit is loved for more than its sweet, exotic taste. The Chinese love it for its medicinal properties. It is a rich source of vitamin B6. This vitamin is highly beneficial to expectant women. It aids in the development of the baby, helping ensure it is healthy. This vitamin is also ideal for growing children. The kiwi fruit is an alkaline fruit. This makes it perfect for balancing the pH levels in foods. This goes a long way in promoting the health of your skin, leaving it soft and youthful. The vitamins in kiwi fruit also act as antioxidants. This is important for your skin as it prevents degradation of the skin. You can cut a few slices of this fruit and place them on your skin as therapy. While there are numerous benefits associated with the consumption of kiwi fruits, too much of it can be detrimental to anyone. It is therefore important to learn about the kiwi benefits and side effects to know how to strike a balance. So, what are the cons of taking kiwi fruits? It is very possible for one to develop allergic reactions from consuming kiwi fruits. There have been a number of cases of allergic reactions reported after consumption of kiwi fruits. Overconsumption of kiwis can lead to development of rushes and swelling. Anaphylaxis is also a common condition that can occur when you eat too much of this fruit. Hives and asthma attacks are also common. Local mouth irritation can also be a side effect. 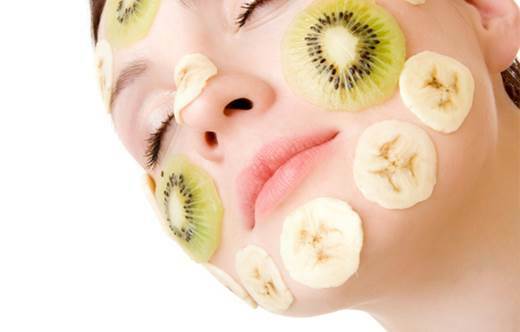 This is a skin disorder that is connected to the consumption of too many kiwi fruits. Dermatitis is characterized by small blisters that are red and sore. When you eat too many kiwi fruits, you can develop acute pancreatitis. This is because kiwi fruits are rich in vitamins, serotonin and potassium. While these are healthy, high doses of them can harm the pancreas by altering the triglyceride levels in the blood. Oral allergy syndrome is also on the list of kiwi benefits and side effects. It normally occurs when you over indulge in the kiwi fruits. The symptoms include mouth, lips and tongue swelling. You may also experience a tingling sensation or itching urge in your mouth. According to research, kiwi fruits contain anti-fungal properties that can have addictive side effects when consumed alongside other antifungal medicines. Also, it can cause bleeding when consumed with some medications such as aspirin, heparin and anticoagulants among others. What Are the Benefits of Being a Vegan? Is Vanilla Extract Bad for You?